The Chaud Devant Chef Jacket Roma looks classic just like the Firenze, but offers a more subtle design. The Roma is characterised by a straight fit and fastens with a double row of buttons. 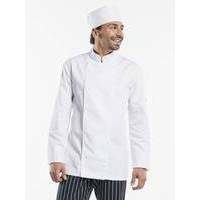 The Chaud Devant Chef Jacket Roma also has French cuffs and a luxury breast pocket. 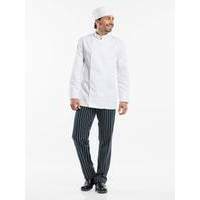 The satin weave makes the fabric soft and comfortable. A sophisticated take on a classic design.